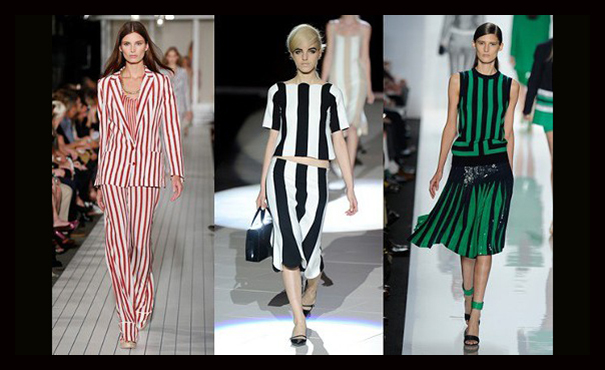 Fashion weeks are beginning again and we are beginning to look towards the trends for spring 2013. Finally the winter months are drawing to a close, meaning those summer dresses and sandals can be brought out of the wardrobe once more. This spring, like many before, is filled with a clear mix between revamped classics like shorts and the unusual, making for a very exciting season ahead. Here is your guide to the key pieces this spring. No longer just for the surfers, the Bermuda short has had a revamp this year, becoming a fashion staple for all of our wardrobes. These are the perfect alternative for any girl who worries about wearing shorter versions and they look just as stylish as their denim short alternatives. The beauty of this seasons Bermuda short is that there is a pair for work, rest and play. From chiffon floral patterned for the office; to linen versions perfect for a stroll along the beach in the warm evenings. Team with an oversized T shirt or a Peter Pan collared blouse for a chic and fun look. As the humble Bermuda short has been seen all over the runways from New York to London this year, there are many online fashion sales offering you the chance to get the look for less; Supre for example are a great starting point. Before you start panicking, floral patterns are still making their mark this spring, but the pattern for this season is the stripe. This is not the subtle pinstripe either, this is the bright, the bold and the timeless monochrome stripe. Everything from jumpers, trousers and skirts have had this makeover. Now, as this is not look for the faint of heart, you will need to consider how far you want to push the fashion boundaries with this trend. Some may want to go all out with a head to toe look, some may want to channel their inner punk and some may want to only display a hint of stripe. The first place to start is by choosing a statement piece, like a pair of striped skinny jeans. From there you can add to the look or be as creative as you like. A plain black, dip hem shirt would work for a relaxed look, or a contrasting striped cardigan for a daring alternative – the choice is yours. 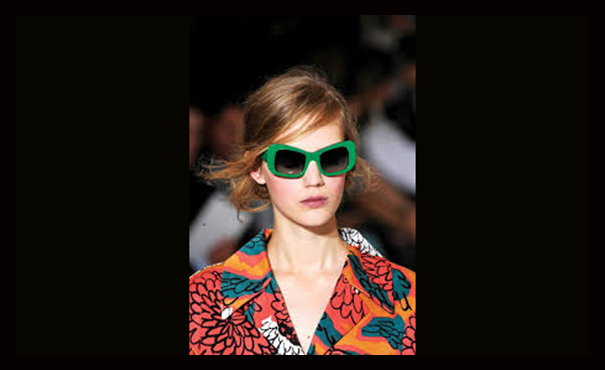 More often than not, we see our sunglasses as just a pair of sunnies to shade our eyes, but not this spring. This season your sunglasses are going to mean as much to your outfit as your shoes do. From bold colours, vintage styles and the comedy versions, there is a pair to suit everyone’s personality. The shape and size of the glasses will depend upon the shape of your face, for example round 60’s inspired pairs work wonderfully for heart shaped faces, but the beauty of this seasons glasses is that they come in a rainbow of colours. Choose a few pairs to match the day, your outfit and of course the weather, this way you can have the best of all worlds and highlight your overall looks in a fun way.